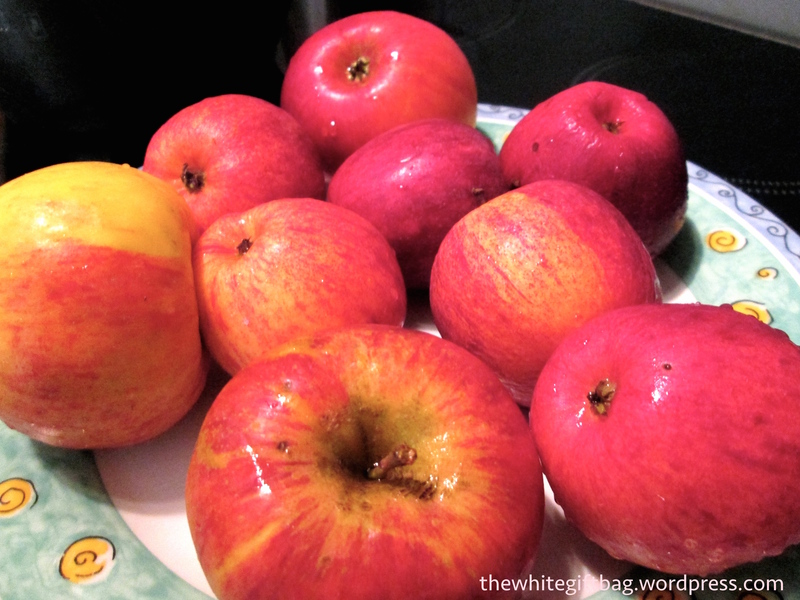 And the apple-craze continues! 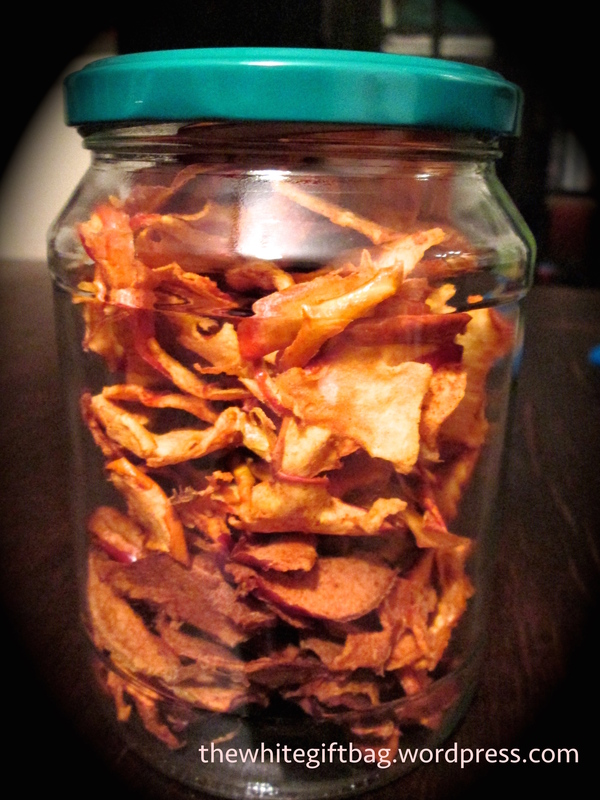 In my last post I shared with you my Apple Cinnamon Muffins (which where gone really soon) and so I thought of making something that might last a little longer: oven-baked apple chips! 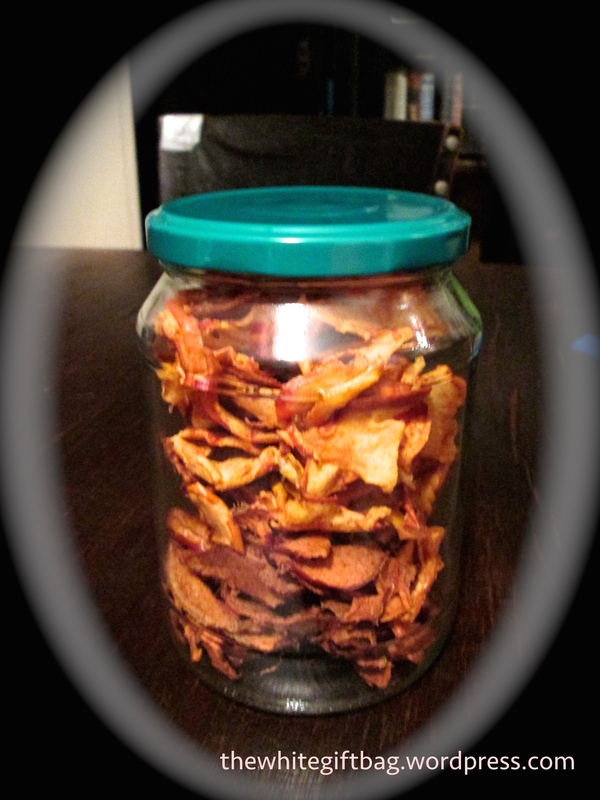 I got my inspiration from the blog Kosher on a budget and these turn out especially well with really ripe apples as they will be very sweet and don't need any sugars added. 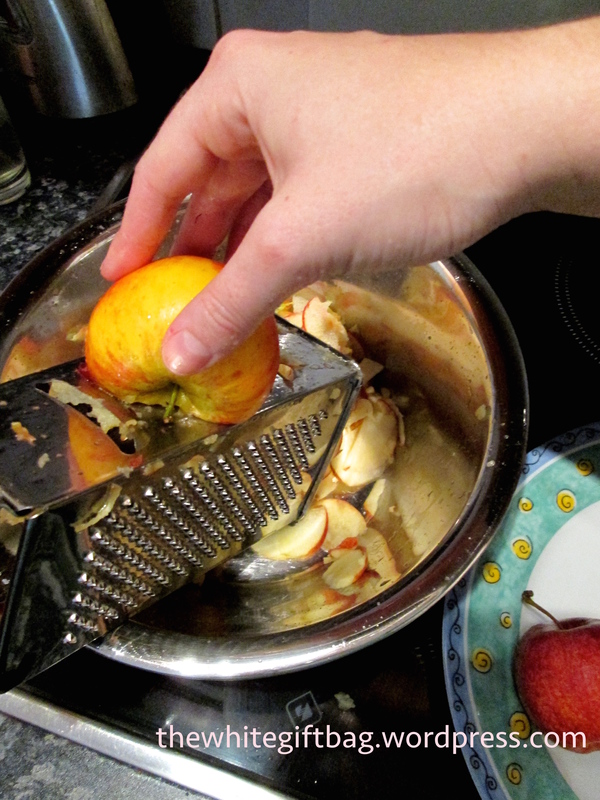 To get very thin slices you can either use a grater or you can slice them very thinly with your knife. 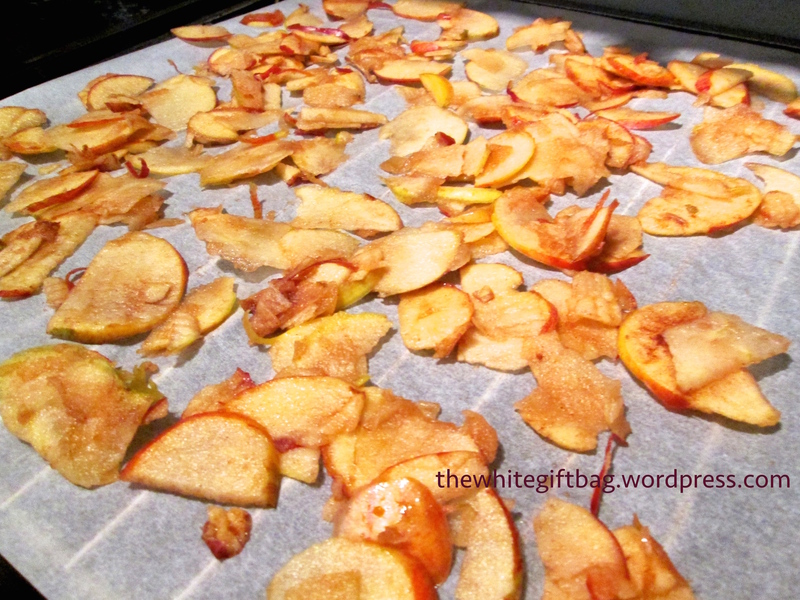 Put them on two baking sheets and set the oven to 140°C. 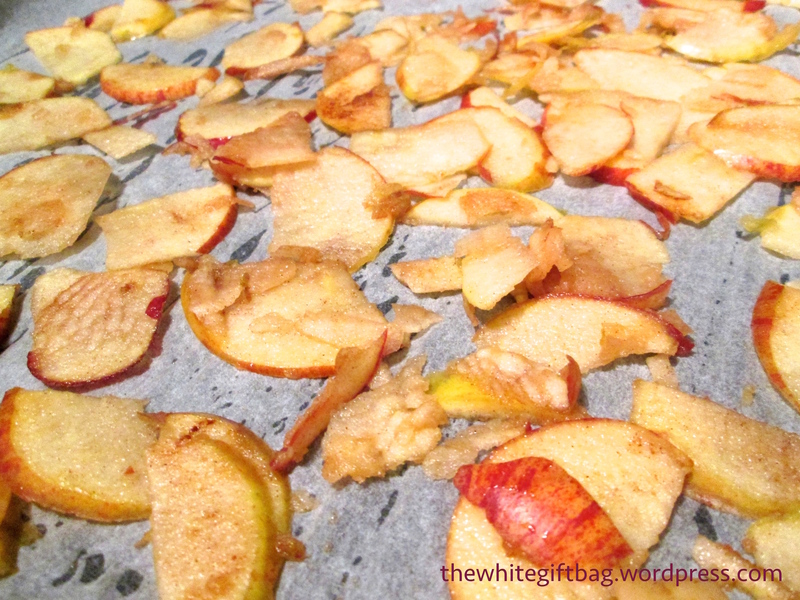 Put the baking sheets in the oven and leave the oven door open for a couple of centimeters. I stuck a wooden (!) spoon in the door because mine wouldn't stay open by itself. 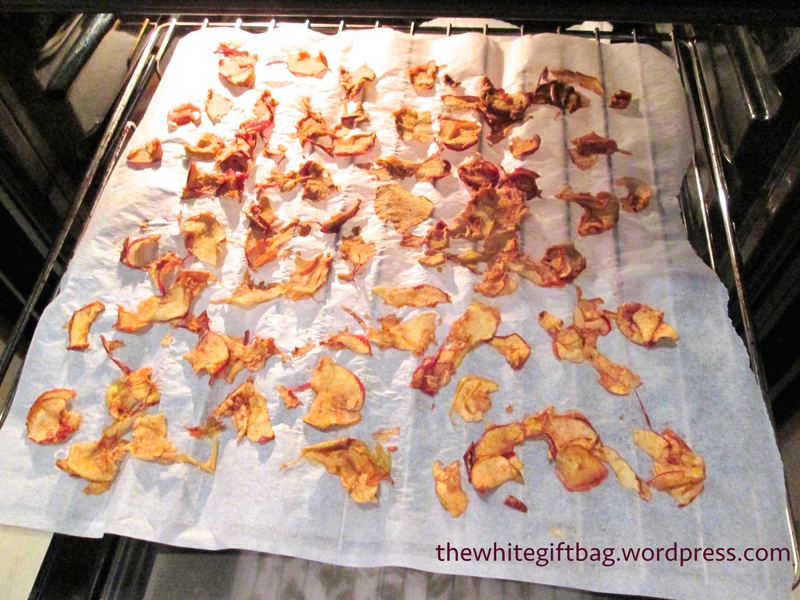 In some of the recipes I found online there was no mention of it, I however found it crucial to get them really dry. 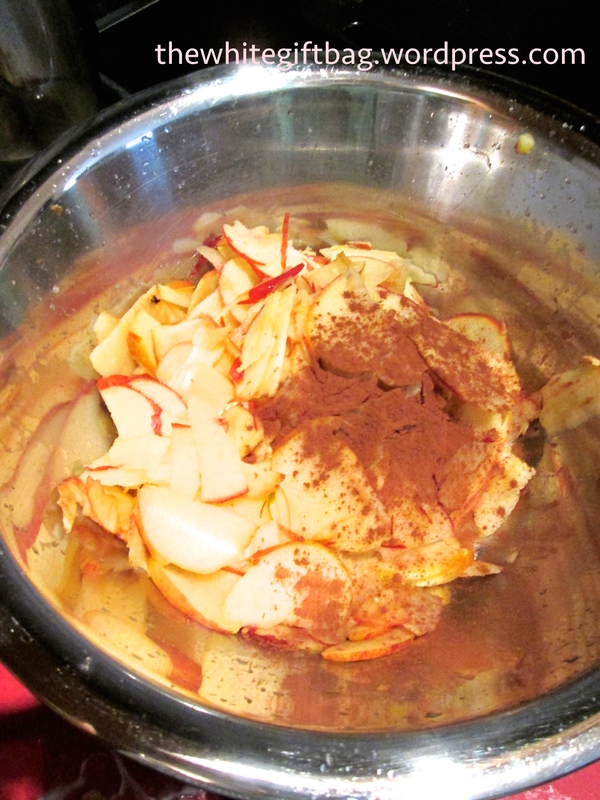 Bake for about 40-50 minutes then flip the apple pieces and bake for another 40-50 minutes. 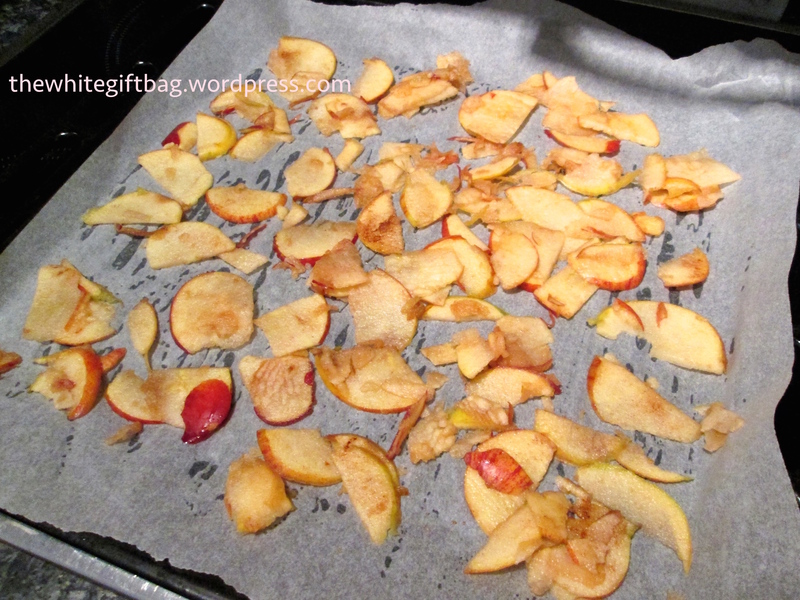 Afterwards let the apple chips cool for a little bit and then they'll be dry enough to be stored (or eaten ;) ).